Three room flat on firts floor in a multi family house, composed of living room-kitchen,bathroom (no shower cubicle), double bedroom, bedroom with bunk bed, ample common garden, parking space. Equipped with tv and air conditioning, located 250 meters from the beach. 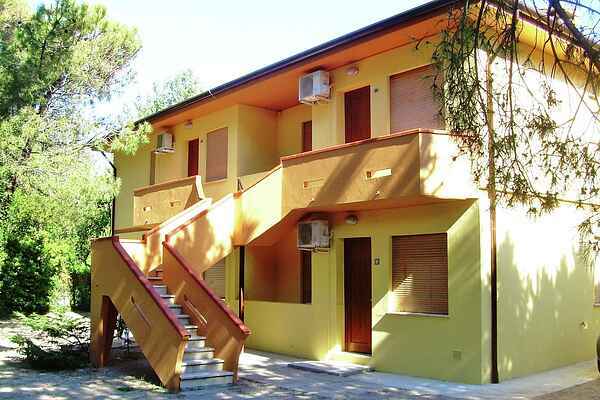 Rosolina Mare offers several attractions and services to tourist: beach, pinewood, places for children, sea, botanical garden, Delta del Po park, shops, restaurants and more to make your holiday as pleasant as possible. The position is ideal for visiting Venice as well as the rest of the region.